After teaching a 4th and 5th grade combo class in 2014-2016 and Language Arts /Social Science core for both those grades last year, Mr. Curry will be returning to being a 5th grade homeroom teacher and teach all core subjects to his own class. Additionally, through the pursuit of grants, Mr. Curry has obtained 9 laptops in addition to the Chromebooks provided by the district, so e should haver 1:1 ratio of students per Chromebook.. Students will learn to use their devices to do much of the assigned classwork. This is called 21st century learning. Other elements of 21st century learning are collaboration (working with others) and creativity. We will be focusing on all of these learning styles on the very first day of school..
We will also be having field trips and special learning opportunities. So far, we have the 5th grade week-long Science Camp in January at Walden West. Other possible field trips are a STEAM (Science, Technology, Engineering, Arts and Mathematics) trip to Levis Stadium and to NASA Ames Research Center We are awaiting confirmation of possible trips to The Tech Museum and to the O'Neil Sea Odyssey out of Santa Cruz Harbor. With the soon to be completed opening of the Berryessa BART Station, we hope to have even further opportunities. 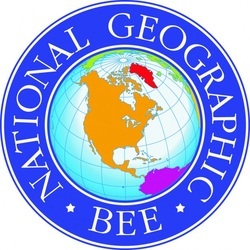 Our class will be offering students the opportunity to engage in the school's Young Authors' Fair, Tech Challenge, National History Day, The National Geographic Geography Bee and the Synopsys Science Fair. We also are part of the City of San Jose's Adopt-A-Park program. Our class will regularly help clean our very nearby local city park, Vinci Park, located on the other side of the new fence in back of the school. ​We will learn about places here in America and in the world where we can help make a change for the better. Locally, our class is part of the Adopt A Park project of the City of San Jose. We will be learning how to do computer coding. There are 2 major Coding Education programs we will be involved in. Students and their families can access local papers e-editions Aug 18-June 21.